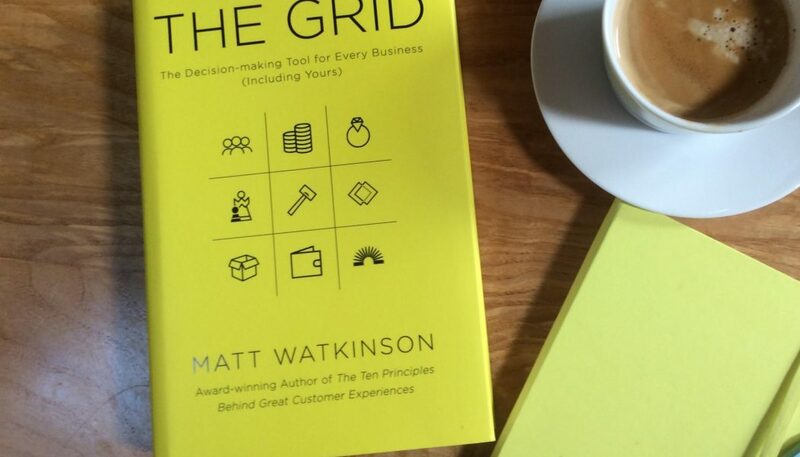 The Grid – My Sunday project, to get my head around the new book from matt watkinson. I was privileged to be asked to review parts of it, so already know some of it, but now getting to grips with ‘the full grid’. It’s a brilliant idea, beautifully written. We will soon be interviewing Matt and talking to him about some of the key concepts in the book. “The Grid presents a unique, joined up approach to decision-making, revealing both the holistic nature of business and all the key elements a business must consider. Following the tenets of this book will help readers to avoid the costly unintended consequences that can follow on from well-intended decisions. I can safely say that if you only read one business book in your life it should be The Grid.” (Philip Rowley, Chief Financial Officer, Sony Pictures Entertainment).